Who doesn't want to wake up looking gorgeous? I mean #iwokeuplike this anyone?! Well the good news is that one of the best times to work your beauty magic is when you're sleeping. By doing a few easy things before you hit the bed you'll not only wake up looking better, but you'll make your life easier too. 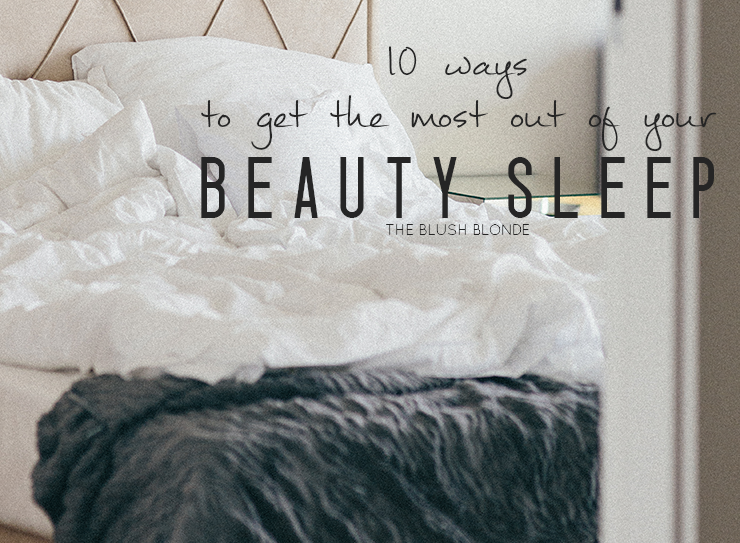 Below I have a my ten favorite sleeping beauty hacks and I promise that if you follow these these super simple steps you will wake up looking even more beautiful! I am totally and completely in love with sleeping masks! They have really changed my skin for the better and are a must have product for me. Sleeping masks are gentle treatments that are meant to be left on the skin for long periods of time and therefore they do not contain any harsh ingredients. They're great for hydrating and repairing skin while you sleep. Cleanse your face like normal and then smooth on a thick layer of a sleeping mask, allow it to soak in for about ten minutes before getting it bed, and wash off in the morning. If you're looking to try one out I recommend starting with these, and if you're ready to commit to a larger size this one is my absolute favorite. Since you typically sleep for several hours at night it is the perfect time to put a treatment in your hair to help with split ends, dryness, or other hair issues. While you sleep your hair has plenty of time (much more than if you were to do this during the day!) to soak up all the benefits of the treatment you put in. I love putting coconut, jojoba, or olive oil in my hair before bed, but make sure to change your pillowcase in the morning when you do this! If you don't want to put oil in your hair this is a great alternative and depending on how much you put on it doesn't have to be washed out in the morning (it will also make your hair smell really good!). Have a pimple? Before bed clean off the area after moisturizing your face, I like to take a little witch hazel on a q-tip and clean the pimple, and then apply a spot treatment. By treating a pimple before you go to bed you're giving the medicine ample time to penetrate the zit and get the medicine deep within the pore to help clean it out. This is my favorite spot treatment and this is another great option. Apply an eye cream for dark circles at the end of your skincare routine to help treat and prevent dark circles. This allows the cream to absorb and work its magic all night, which will lead to optimal results. If you're looking for a good eye cream for dark circles check this one out. Also if eye puffiness is something you struggle with in the morning place another pillow under your head while you sleep so the fluids that cause puffiness can drain from your face. Since you're not wearing any makeup while you sleep it is the perfect time to condition your eyelashes. Conditioning your lashes helps to prevent breakage by strengthening them. This will help your lashes to grow longer and maintain a fuller look. While there are plenty of lash conditioning treatments you can purchase I like to use jojoba, castor, or coconut oil, or even Aquaphor on my lashes. 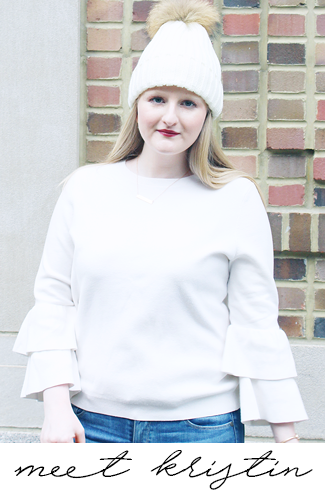 I think we've all had a bad experience with our eyebrows before and whether they were made too thin, were uneven, or any other mishaps occurred we've wanted our brows to grow back quickly. The best way to get your brows to grow is with castor oil, which promotes growth! Just massage some castor oil into your brows and the surrounding areas every night to help your eyebrows to grow. I've used this trick on several occasions and it really does work. It also conditions your brows and strengthens the hairs. Do you want super smooth skin on your body? Put on a layer of lotion on every night before bed. The lotion will condition and soften your skin while you sleep so you'll wake up to soft and smooth skin. Great list of sleeping tips! Thanks for the link up. I would love for you to join my link up as well which goes live every Thursday at 5:00 p.m. EST! Have a fantastic week! I'm going to try one of those sleeping masks! Thanks for the tip. This is such a well thought out post filled with great advice! I have to try treating dark circles at night...mine can be pretty bad!